Once again choosing to list ten other bands in this particular best of song list expands awareness for other acts and albums I think you should investigate more if you failed to already. Let’s face it – will any specific song from 2018 ever eclipse the timelessness of “Angel of Death”, “Run to the Hills”, or “Heaven and Hell” in the genre? Probably not – but to many listeners (and writers), there are still plenty of horizons to explore in metal today that keep us coming back for more. Here we go with ten songs that made an impact for this scribe over the year. Discussing the Greek mythology Gods of Cerebus, Zeus, Poseidon seems like perfect fodder for these traditional metal veterans – encapsulating the proceedings with a ‘thunderous’ main riff and a commanding chorus. Saxon doesn’t appear to be stopping anytime soon adding to their anthem total, and here’s another one to treasure. The Mid-West death/groove band keeps rolling forward – possibly unleashing their strong set of material in some time. “Send Forth Oblivion” contains those steamroller riffs, steady Slayer-esque transitions, and a fierce vocal roar that recalls a clearer John Tardy/Obituary. Returning for their first album in almost 30 years, it’s a welcome site to have Fifth Angel back on track with their sophisticated melodic metal platform. 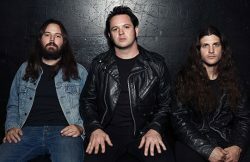 “Third Secret” takes on a Dio-era Rainbow-esque atmosphere – the guitar riffs mountaintop-like, as guitarist Kendall Bechtel takes on the grit of the long lost Dio through his phrasing and melodies. 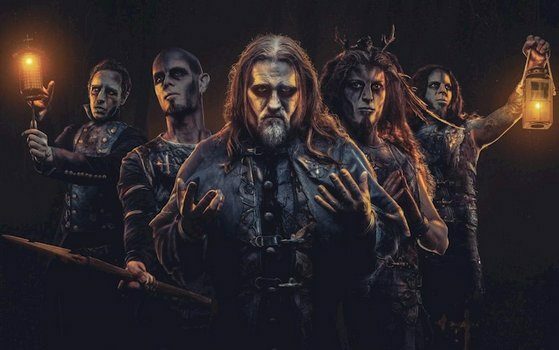 Finnish melodic death metal with black/dark nuances – it’s little wonder how Finnish act Wolfheart are achieving magnificent support across the globe for their addictive sound. “Breakwater” contains all those contrasts – speed, intensity, blast beats, tremolo-picking, emotional resonance, and a wall of sound that transports you to the bleak, cold depths of your soul. These Canadian metal heads aren’t afraid to embrace outside niche styles to make their output special. 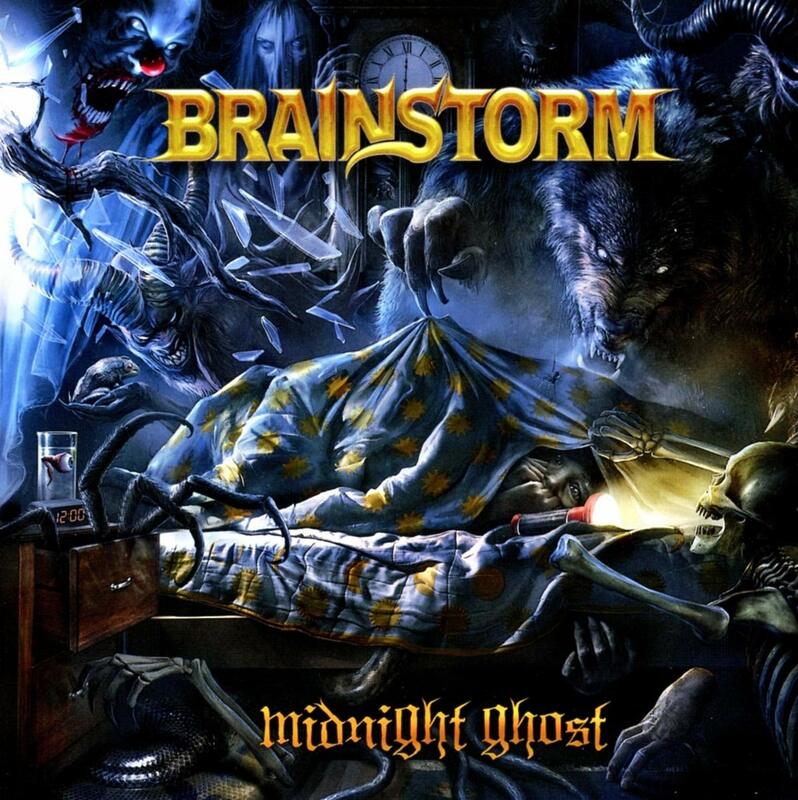 For “Head First” – an obvious melodic hard rock aspect comes in to the main guitar hook and four-part Dokken-like vocal harmonies, but damned if you aren’t throwing fist to the skies to this anthem. Ah, good old Swedish melodic progressive metal. “Tiara’s Song” gives the listener a seven-minute long journey into all facets of the band – killer musicianship, time signature manipulation, Tommy’s smooth vocal expertise, and a track that reminds people of the roots of the genre when Dream Theater and Symphony X led the charge. NWOBHM pioneers Satan seemingly turn back the clock and release albums that have captured the spirit and creativity of those early years, while executing for a current generation to treasure. Cut and chase riffing, speedy drumming, and Brian Ross’ captivating voice brings this song home. Featuring Unleash the Archers Brittney Slayes on duet vocals, Wisconsin’s Lords of the Trident roar in traditional power warrior mold for this track. Searing lead breaks with twin harmony accents, thunderous drumming, and high-octane vocal action makes this a headbangers delight. Steady as always, the melodic/progressive death metal Finns Omnium Gatherum keep their ideas flowing as “Refining Fire” showcases here. Layers of harmonies against the deep growls keep toes tapping and hands clapping. Beyond the imagery and makeup, these chart-topping gentlemen bring a unison aspect to their riffing and hooks that makes it delightful to scream and shout along with in the power metal genre. “Fire & Forgive” contains all the requisite organ/choir action necessary to become a future set-list favorite. Always impressive in a live setting with their brand of biting thrash, Hatchet has been mediocre at best over the years as far as records. 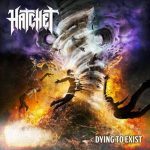 Their latest effort Dying to Exist sees the group inject a proper harmonic/melodic balance to their songwriting, allowing tracks like “Desire for Oppression” and “Final Sanctuary” to stand out due to a mature outlook that lets the material breathe. Plus it keeps the old guard in check as the younger bands keep the thrash movement exciting for all parties. 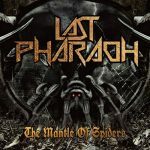 Power/progressive metal with a quartet of musicians who excel at their skill sets, Last Pharaoh bring the classic days of Yngwie Malmsteen, Queensrÿche, Iron Maiden, and Crimson Glory to mind through this debut full-length. The fiery riffing and arpeggio-laced lead breaks from Ron Toth along with the multi-octave vocal prowess of Tommy Santangelo present an electrifying combination – able to leap buildings and crush all comers who stand in their wake. Fortunate to also hear the band multiple times live, they are the real deal in that setting as well – the future is quite bright for these New York lads. Then again, Chris Barnes post-Cannibal Corpse career could put him in the metal disappointment Hall of Fame if there were a category. A compilation of hidden tracks during the Undead and Unborn recording sessions – the public probably wasn’t clamoring for more derivative, paint by numbers death metal from this group. 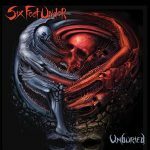 In a sub-genre that has been as diverse as ever for all parties (technical, intricate, HM-2 driven, old school depending on preferences), Six Feet Under need to be buried a mile further down the chain. As metalheads, we always hope that the front cover reflects the music we are about to take in. 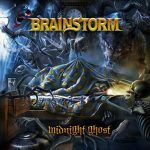 For the latest Brainstorm album, Midnight Ghost contains songs about things that scary you in the night – dreams that you may have had as a child that turn into nightmares. The intricacies on this front cover from the skulls to the spiders and cobwebs, the wolves and the clock will give your eyes plenty to feast on. It’s a bonus that the music exceeds expectations as far as the quality for this veteran German power metal act. One of those rare nights where the stars aligned for three of the Dead Rhetoric writers to attend the same show together, Night Demon has moved up the ranks to be a legitimate headliner anywhere they play. Even given the circumstances of a limited set-time, the trio when all guns blazing and delivered an intense set of traditional, NWOBHM-style anthems and a spirited “In Trance” cover of The Scorpions to a healthy, ardent group of followers that sang, chanted, and sweated their hearts out for heavy metal. Their work ethic and commitment to the movement reminds of Metallica and Iron Maiden during their prime years in the 1980’s. Yes, this scribe has talked about this exhaustively in the past. It seems more likely to come to fruition this coming year, as King has finally come off the road for a significant period to work on new material as well as tidy up some upcoming live DVD’s releases. 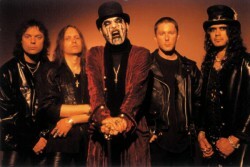 Considering the activity with many legacy artists releasing high quality output recently (Satan and Saxon among them), it’s time for King to assert himself with another scary concept record and equally intoxicating music to back up the proceedings.